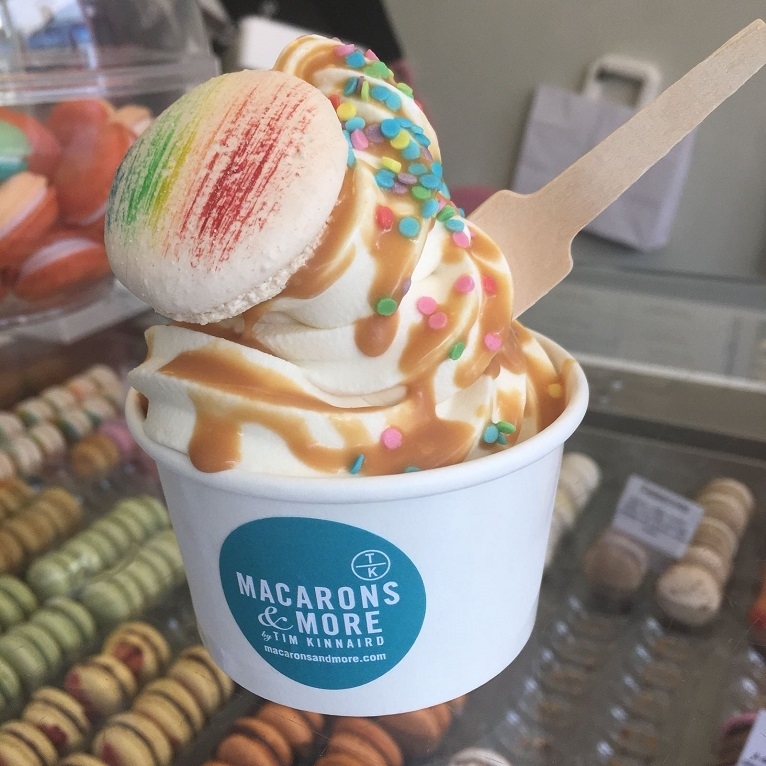 We had a busy weekend at Macarons & More and it feels like we’re still recovering! Last Friday was Norfolk Day and the following Saturday was the annual Norwich Pride parade through the city. 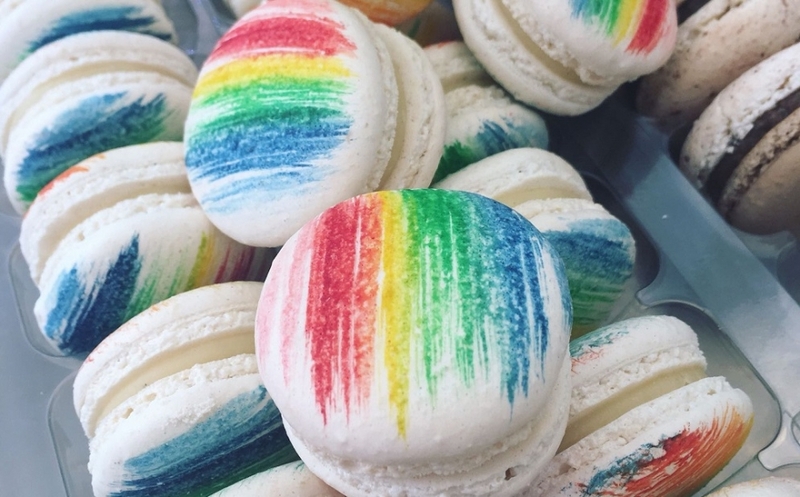 We ran a flash sale of 25% off all macaron purchases for both days. As you can imagine, this made us pretty popular with paraders and passers by alike! We took some pictures early in the day of the treats on offer. Later on, we were too busy to be taking pictures! 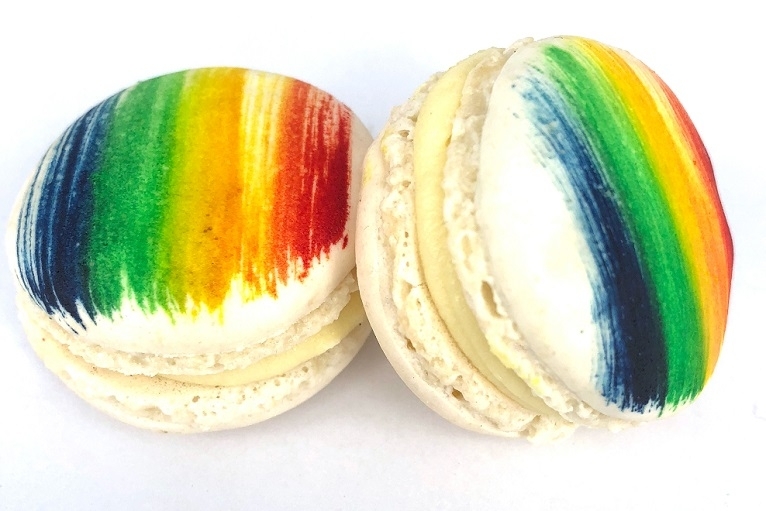 Madagascan vanilla rainbow-striped macarons were flying off the shelves. 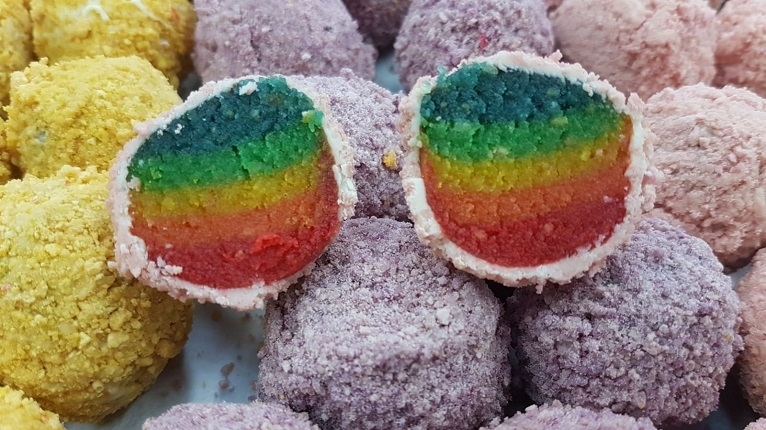 Rainbow cake truffles. Salted caramel flavour coated in a white chocolate and macaron crunch shell. Friday was the hottest day of the year so far and Saturday warmed up after a fresher start. Ice creams all round! 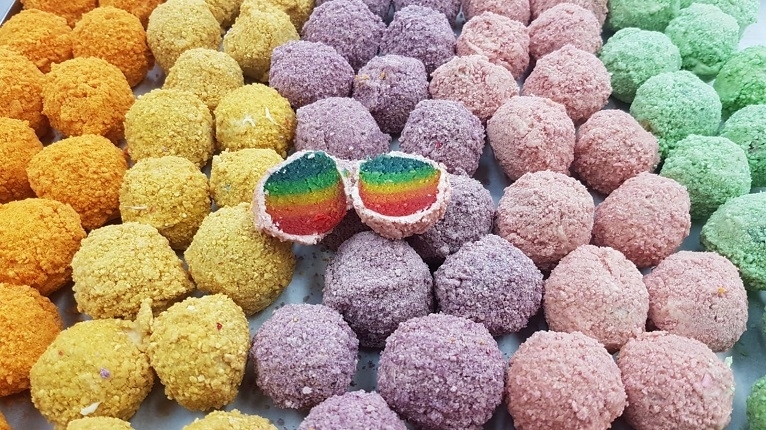 Both days were a great chance to share our favourite treats with the Norwich community. We’re already looking forward to next year’s Norfolk Day and the Pride parade!